Construction begins today on a VND$5 trillion (US$313 million) tourism project occupying a 254-hectare area in the northern province of Ha Tay, with work scheduled to be completed in late 2010. Investor Tuan Chau Ha Tay Joint Stock Company said that the namesake tourism complex, located adjacent to the historic Thay Pagoda, would comprise a five-star hotel, a villa resort, an international meeting center, three golf courses, a trade center, a cultural area, and other entertainment facilities. 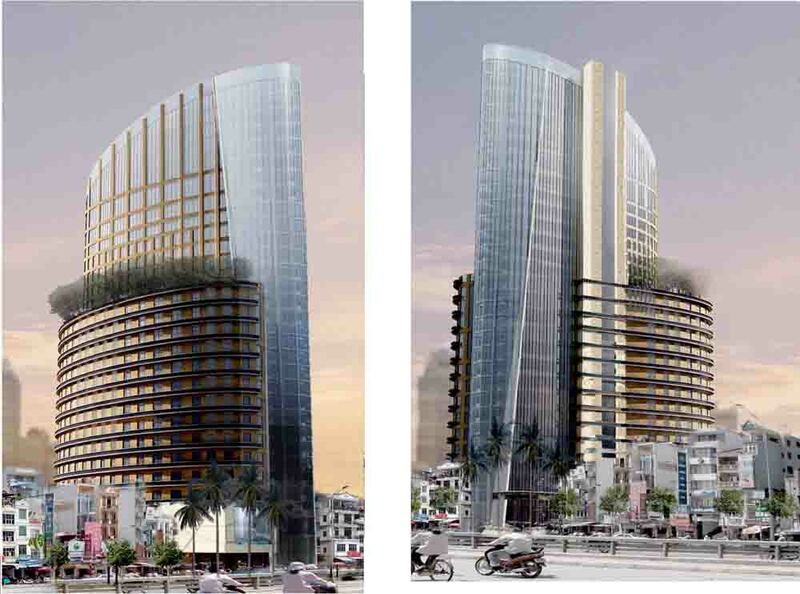 The company’s director, Edward Minh Chi, mentioned that the high-end hotel and villa area will offer tourists 500 rooms each, with an additional 1,000 luxury apartments on site. Another outstanding feature of the Tuan Chau Ha Tay project is a three-story trade center covering 180,000 square meters, representing the largest trade center of its kind in the country. The three golf courses include an eighteen-hole course for advanced golfers, and a practice course and mini-course for amateurs. Thompson Perrett & Lobb, are outfitted with light systems to enable night play. The investor expects the tourism complex will increase the number of visitors to Thay Pagoda from 30,000 to 1 million people per year. The bulk of tourists who currently travel to Ha Tay Province visit the Huong (Perfume) Pagoda, Thay Pagoda and Tay Phuong Pagoda, three ancient architectural sites steeped with cultural and historical significance. Ground will be broken on February 28 for two industrial parks in Ham Thuan Nam district, the Binh Thuan province administration has announced. The 143ha Ham Kiem 1 Industrial Park will be developed by the province’s Hoang Quan Consulting, Trading and Service Joint Stock Company, and is expected to cost 177 billion VND (11 million USD). The 436ha Ham Kiem II Industrial Park will be built by Binh Tan Consumer Product Manufacturer, or Bita’s as it is commonly known, at a cost of 476 billion VND. By the end of this year, the contractors will complete clearance of the sites and install water, electricity, and telecom systems and around 70 percent of the road networks. The central city of Da Nang has granted a licence to the VinaCapital Fund to build a US$325 million urban area in the eastern area of the Han River Bridge, the largest real estate project in the city so far. The 9-ha VinaCapital Square urban area will house two shopping centres, covering 30,000 square metres each, a 5star hotel with 300 rooms and a 4 star hotel with 300 rooms, and a 25,000-square metre convention and exhibition centre. 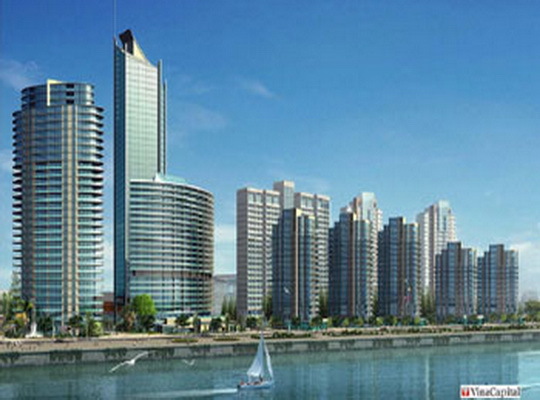 Apart from a 42-storey office for lease building, view to Song Han river and Son Tra island. VinaCapital will also build more than 1,000 high-grade apartments (120 – 125 m2 ) and about 300 villas (180 m2/ villas ).. All Car park underground. Set to work in quarter 3/2008, with stage 1 capital is 125 million USD. Anticipation, finished work at 2011. 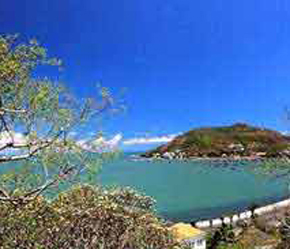 A project to build a park named Wonderful World in the southern coastal province of Ba Ria-Vung Tau has got license from the local authority. The provincial People’s Committee granted the investment certificate to the Good Choice USA – Viet Nam to carry out the 1.3 billion USD project, which will cover 155 ha in Bau Trung, Nguyen An Ninh ward, Vung Tau city. The project will include a five-star hotel with 2,500 rooms, four four-star hotels with 4,000 rooms, exhibition and conventional centres, an entertainment area with a Ferris wheel, a water palace and a cluster of Viet miniature landscapes of the Viet Nam and the world. 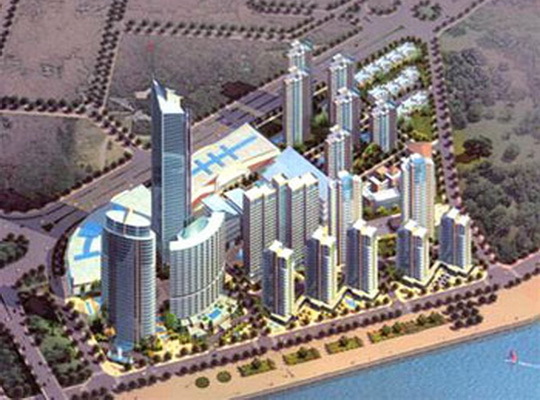 Infrastructure construction of the project is expected to be completed in 2010 and its entertainment items, as from 2011. The $10bil tourism project in the central province of Quang Nam remains a hot topic. The proposed investor, US-based Global C&D Inc, registered its business in Nevada with total investment capital of $100,000. In the report on the project to the Prime Minister on February 4, the Quang Nam People’s Committee wrote that the $10bil tourism project will be the biggest ever in the central region with total investment capital of $10bil. The investor is the US-based Global C&D Inc. and Tano Capital and Spring Investment. The Quang Nam People’s Committee’s report said this is a highly feasible project, which fits the provincial plan to develop tourism projects on the coastal areas. If approved, the project will help develop Quang Nam and the central region’s economy. However, an official working as the foreign investment project assessor and had the chance to read Quang Nam authorities’ document on the $10bil project, said the document lacked the information that such a massive investment would usually entail. To date, no ministry has released any official opinion on the project. Tuoi tre newspaper has spent time tracking down the profile of the investor. Global C&D was registered in Nevada on October 21, 2005 with the investment capital of $100,000 under Chairman and General Director Tong Ich Pham. Global C&D does not have an official website and besides the information about the project provided by Quang Nam authorities, there is no further information via an internet search or other relevant sources. This is strange, as other US companies all have their own websites. The email address left by the investor at the Quang Nam People’s Committee’s office is a Yahoo address. No big company wants partners to contact them via Yahoo accounts. 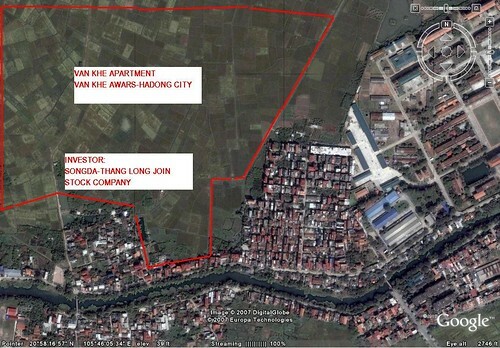 The website of Tano Capital, the co-investor, provides a contact address in Hoi An, Vietnam. In an interview with Charles Johnson, the founder of Tano Capital in October 2007, which is featured on the website, Mr. Johnson says Tano manages the total assets of $200mil, and that the company has invested $40mil in China and made another investment in India. As such, by the end of 2007, the total capital of the company had not reached 500mil, as he said. Tong Ich Pham, Chairman and General Director of Global C&D, wrote in his email to local newspapers that his group still needs more working sessions with Quang Nam province. He wrote that many things still need done and he will provide more details soon. * Vo Ta Han, Senior Advisor to Swiss UBS AG in Singapore: The first thing relevant ministries should do when working with big investors is ask them to prove their financial capability. Send several millions of dollars to a bank account to show your financial capability and we will talk about projects after. * Tran Van Tho, Economics Prof from Japan’s Waseda University: The best solution now is for Quang Nam authorities ask the investor to pay the fee for assessing the investment project. The provincial authorities can use the sum of money to hire an independent consultancy firm to examine the feasibility of the project. If the firm provides a good assessment about the project, the provincial authorities will consider the details; it should only submit the project to the Prime Minister when it finds the project highly feasible. On Tuesday witnessed more than half a billion U.S. dollars committed to property projects in the central coast city of Danang on the sidelines of a regional investment, trade and tourism forum. South Korea’s Kreves Development Co., whose parent is Yujin Kreves Co., signed a contract with the city to invest US$200mil to develop apartment and office building projects. The company will develop two 28-story and 30-story apartment buildings for 1,600 households, a 42-story complex, an international school, and a department store in Hoa Cuong Bac District. The projects will supply houses for Korean and foreigners who are doing business in Danang’s industrial parks and neighboring ones. Yujin Kreves Co. entered in Vietnam some 10 years ago with a factory of metal tableware goods and stainless steel plates built. The city awarded a license to VinaCapital to develop the VinaCapital Square urban development project. The new town east of the Han River Bridge in Son Tra District will be capitalized at US$325mil, one of the biggest real estate projects in the city. VinaCapital Square will cover nine hectares, comprising two shopping centers, two 4-5-star hotels with 600 rooms, a 25,000 sq.m conference centre and a 42-storey office building. The investor also plans to build more than 1,300 high-grade apartments and villas. At the forum, officials and business executives highlighted investment trade and tourism potentials in the East-West Economic Corridor (EWEC), but urged reforms should be taken to effectively tap them. They said many things, especially investment policies and administrative reforms, remained to be done to foster EWEC growth from mere transport connectivity to economic prosperity. The forum was part of the EWEC Week, which started Monday with the participation of more than 500 investors and government officials from Vietnam, Laos, Thailand and Myanmar and representatives of donors and development partners. Vietnam, Laos, Thailand and Myanmar have roads connected to EWEC provinces after the opening of Friendship Bridge II, and are building frameworks of cooperation between their provinces to make EWEC a real economic corridor. EWEC will prove to be attractive to investors as it will help to reduce costs for goods and passenger transport between the four countries, investors said. Vietnam’s Deputy Minister of Planning and Investment Cao Viet Sinh said the completion of the corridor would be an opportunity for the countries to better access natural resources, seafood and energy. Experts said at the meeting that the central part of Vietnam had many advantages to make the most of EWEC for fueling socio-economic growth. The 1,450-km corridor stretches from Myanmar to Vietnam’s Danang through Thailand and Laos. Danang can be used as a gateway to the Eastern Sea by Mekong sub-region nations. The central region has many infrastructure projects underway. Domestic and international airports under renovation include Danang International, Phu Bai in Hue, and Chu Lai in Quang Nam. There are many seaports under construction or upgrade, such as Chan May in Thua Thien-Hue, Tien Sa in Danang, Ky Ha in Quang Nam, Sa Ky in Quang Ngai and Vung Ang in Ha Tinh. Danang and Hue will become the hubs in the central region with a series of industrial zones like Phu Bai, Lien Chieu and Hoa Khanh, and other economic zones, namely Lao Bao, Vung Ang, Chan May-Lang Co, Chu Lai and Dung Quat. Ayumi Konishi, country director of the Asian Development Bank (ADB)’s Vietnam Resident Mission, said the bank had supported development of infrastructure and helped reduce poverty along the corridor. He told the Daily that many Japanese investors were attending the forum to see whether they could invest along the corridor. Somsavat Lengsavad, deputy prime minister of Laos, said: “We would like to request our meeting to consider together on how we can realize the concept of “Four Countries, One Destination”. At the forum, two international partners who do not belong to EWEC signed agreements on investment projects in Danang during the EWEC Week.